The beginning of 2013 brings new students, new opportunities, new challenges, and for many of us, new resolutions. This year I have added one important resolution to my list- increase communication with faculty. To this end, you will be receiving an e-newsletter from our office on a regular basis. The concise format will allow you to quickly review upcoming events, important dates, and, yes, those ever-looming deadlines. For those who want to know more about a particular topic, the electronic format will allow you to dive deeper by exploring the Faculty Success website. First impressions really matter. At UNT, we believe that the first day of class sets the tone for the rest of the semester. For some innovative activities that will captivate students and set the stage for a great semester, I encourage you to read the article, First Day of Class Activities that Create a Climate for Learning. Mix it up in 2013. Below are some important dates as you prepare for a successful semester. To encourage student participation in the SETE administration, please consider including a statement in your syllabus about the importance of student feedback and the dates for administration. For the spring 2013 semester, the SETE will be open between April 15 - May 5. Please note that all undergraduate course syllabi must be uploaded to the Faculty Profile System by January 21, 2013 as per HB 2504. If you need additional information on how to prepare a course syllabus or suggestions for improving your teaching please read the the Teaching Excellence Handbook. Are there any faculty stars in your hallway? No doubt, they are all around us. Pay it forward and nominate one of your fellow colleagues or mentors for one of the many faculty awards. This spring we are pleased to announce the new Ulys and Vera Knight Faculty Mentor Award, along with the recently launched UNT Foundation Awards. Nomination packets are due April 1, 2013. 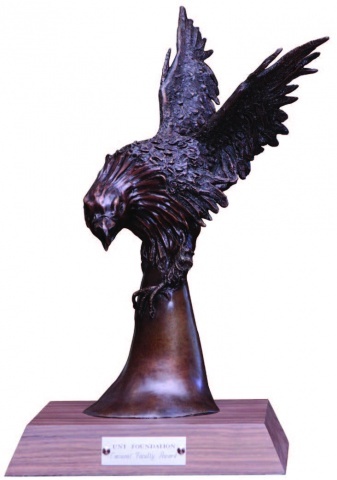 Did you know that the UNT Foundation Eminent Faculty Award recipient receives a bronze eagle figure to display in their home department? This showcase is to recognize both the accomplishments of the award winner and acknowledge the support of fellow colleagues, administrators, students, and support staff. The Eminent Faculty bronze rotates each year from department to department as new winners are announced. The bronze is currently housed in the Department of English honoring Eminent Faculty Award winner, Bruce Bond, Regents Professor. The web-based climate survey will remain open until January 25, 2013. If you have already completed your work climate survey, thank you. If you haven’t, please take a few minutes to do so. Look for your survey reminder from the Cornell Survey Research Institute or contact them at 607­‐255 ‐3786 or surveyresearch@cornell.edu. 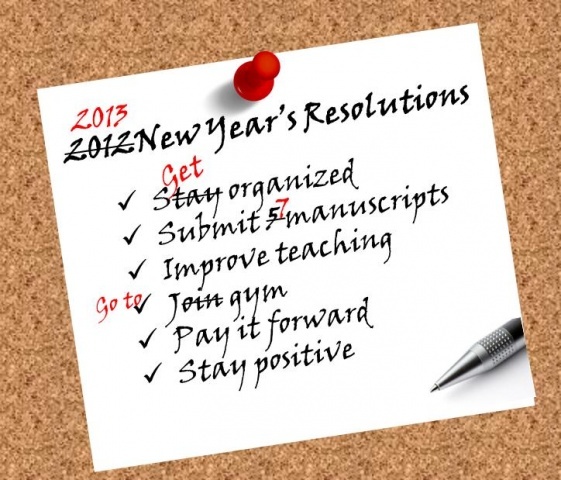 Are you resolved to become a more productive writer in 2013? If so, this workshop is for you. We will explore how to turn your fears and roadblocks into a programmatic framework for productive writing. This one-hour session will be held on January 25 from 10:30 a.m. - 11:30 a.m. in the Business Leadership Building, Room 065. Please register for the workshop by January 18, 2013. Space is limited, so register soon. First 10 registrants will receive the book, Professors as Writers: A Self-Help Guide to Productive Writing. Click here for registration form.